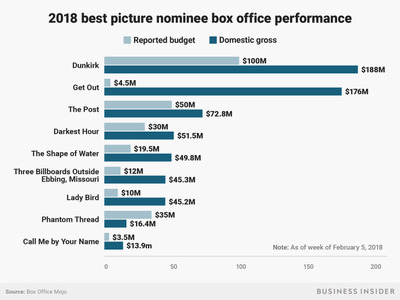 In 2018, most of the best picture nominees have been relatively successful at the box office. 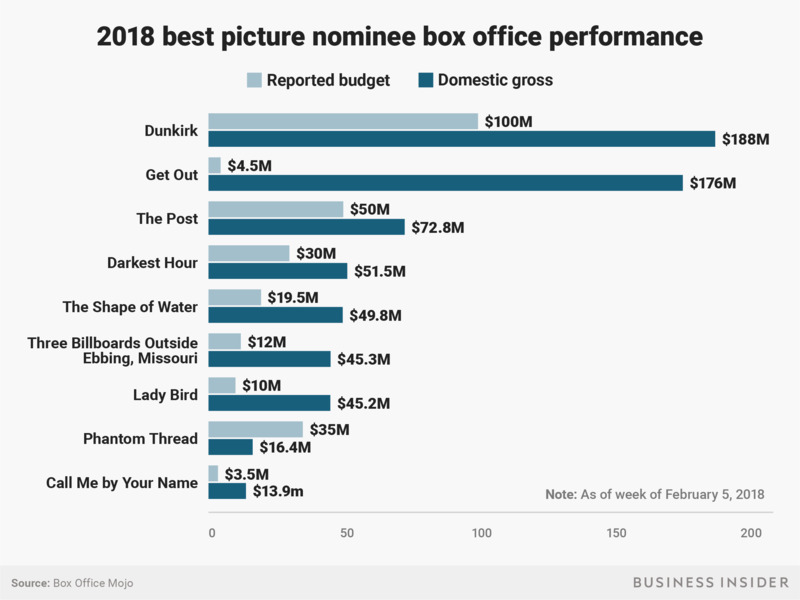 We compared every 2018 best picture nominee’s budget to its domestic box-office gross, based on numbers from Box Office Mojo. Domestically, “Dunkirk” is the highest earner at $US188 million. “Get Out,” which only cost $US4.5 million to make, is in second at $US176 million. 2017 was a great year for critically lauded movies hitting it big at the box office. We took a look at every 2018 best picture nominee’s budget and compared it to its domestic box-office gross, based on numbers from Box Office Mojo. Usually, the box office doesn’t have an effect on a film’s chances of getting nominated for Oscars. But it’s interesting to see the nominees in 2018 performing well compared to the 2017 nominees. The highest-earning best picture nominee in 2017 was “Hidden Figures,” which earned about $US169 million domestically. This year’s second-highest earner, “Get Out,” is over that at $US176 million now – and that number is going up after its recent theatrical re-release. Christopher Nolan’s “Dunkirk,” the top earner in this year’s group of nominees, made $US188 million domestically. 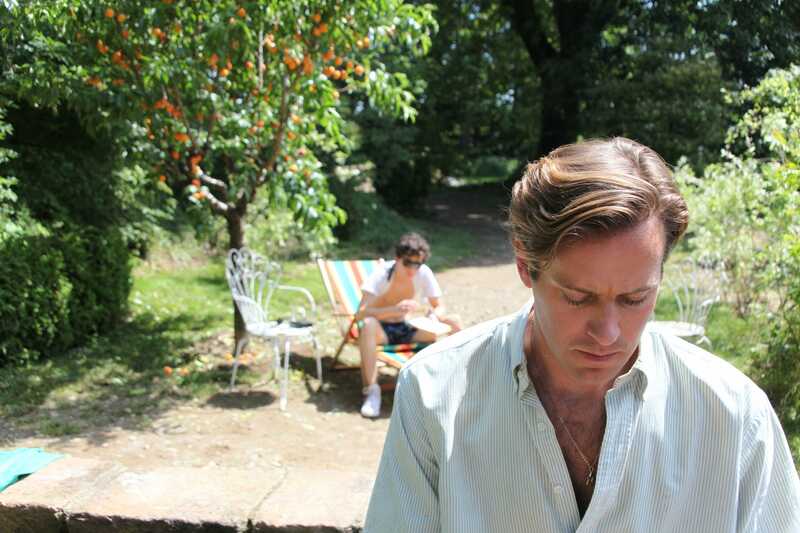 Indie films with smaller budgets like “Call Me by Your Name,” “Lady Bird,” and “Three Billboards Outside Ebbing, Missouri” performed well compared to their tiny budgets. These films, including “The Shape of Water,” which has 13 nominations and won the Golden Globe for best drama and best director, saw spikes at the box office after Oscar nominations were announced in late January.